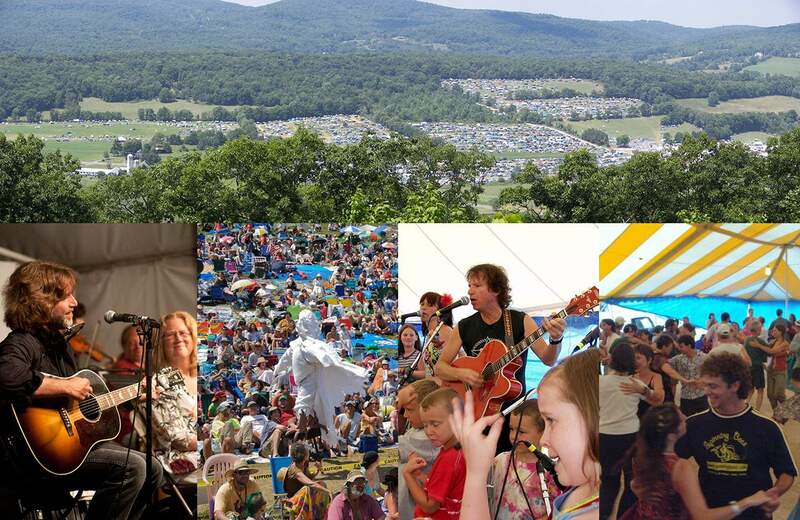 Tuesday’s 22-track coverset featuring the diverse set of folk, world music, and roots artists slated to perform at this year’s Falcon Ridge Folk Fest in beautiful New York farm country at the foot of the Berkshires was grand, but mainstage isn’t the only scene at Falcon Ridge. Our second shot this year focuses on a pair of other artist cohorts: The Emerging Artists Showcase, which runs from noon to 4:30 on Friday on mainstage, and the Lounge Stage, a pop-up “festival within a festival” which takes place from 4-11 on Thursday under the Dance Tent. Enjoy – and as always, follow links back to learn more about each artist, even if you can’t make it to this year’s festival! Falcon Ridge 2013 Emerging Artists Roosevelt Dime play an impromptu set on the midway – an excellent strategy to win fans and please the crowd beyond the Friday showcase. Simply stated, the Falcon Ridge Folk Festival’s Grassy Hill Emerging Artists Showcase is well known in the industry as a highly competitive proving ground: a jury-chosen selection of 24 artists on the cusp of national name-brand recognition, many of whom arrive with little more than local support and a single album or EP in their pocket, who take over mainstage for a pair of songs each as the festival begins its official performance schedule. At the end of the festival, attendee surveys poll the crowd on who they’d most like to see again; the top three vote-getters are asked to come back the following year for a mainstage Most Wanted Song Swap, ensuring a loving welcome for those who stand out among the crowd. To be fair, there are factors out of artists control which can influence favoritism. Later placement in the line-up, and the occasional rain shower midway through the afternoon, for example, have an influence on who sees who. But truly, the showcase is just the beginning of the journey towards greater recognition and love. Artists who push their presence beyond the stage itself – into the pop-up radio station vendor venues, and the late-night campsite circles and mini-stages such as The Big Orange Tarp, Budgiedome, and Pirate Camp, with their folk radio DJ and promoter MCs, which attract and present in scheduled form a cool mix of mainstage artists, rising stars, and special guests once the stages close down for the night – tend to be those who return. But no matter how or whether they get selected for the following year’s Most Wanted swap, diehards know that the next big thing is – quite probably – here before us on Friday afternoon at the fest. Artists who have performed in the emerging artist showcase and moved on to greatness include many of our favorites here at Cover Lay Down, including Darlingside, Erin McKeown, Jean Rohe, Matt Nakoa, Roosevelt Dime, Parsonsfield, Spuyten Duyvil, Lucy Wainwright Roche, Red Molly, Joe Crookston, Pesky J. Nixon, Girlyman, and more – a fine list of names, and a familiar one to those who watch the folk charts and coffeehouses. This year’s roster is unusually strong in talent, but rare in broad familiarity; as such, it behooves us not to forecast favorites. But there are a few familiar and beloved faces on this year’s list, as befits a smorgasbord – five out of 24, in fact, have been celebrated here on Cover Lay Down before, either alone or in collaboration with notable others. Of these, two are especially familiar to Falcon Ridge audiences: Robinson Treacher, previously featured here and in the FRFF 2016 vendor zone for his trio work with Brad Cole and fest fave Matt Nakoa, an association which should garner him no small amount of interest on stage this year, and Heather Aubrey Lloyd, who is also well known to regular fest-goers for her work with one-time Most Wanted trio ILYAIMY and for solo performance at the pre-fest Lounge Stage; here, the band’s cover of Iggy Azalea’s Black Widow, recorded in 2014, offers solid evidence for why we treasure her new solo album, and her performance. We’re especially thrilled to finally have a chance to catch NYC singer-songwriter, classically trained oboist, and composer/arranger Emily Mure live and in person after missing her first go-round at the Emerging Artists pool in 2008 (an unusually competitive year in which voting heavily favored bands and combos). Emily’s gorgeous cover of Elliott Smith’s Between The Bars made our 2016 Best Singles Mix; previously, we’d featured her delightfully orchestrated cover of Cake fave Mexico with nowhere near enough fanfare, though notably, both No Depression and Red Line Roots raved about it at the time – these two songs, alone, are enough to make sure we catch up with her, and help steer her towards the wider proving grounds beyond the stage. Her impending album Worth, a well-produced, wistful-to-wild exemplar of contemporary singer-songwriter folk, is due to drop with no small fanfare in September; we’re honored to present that album’s sole cover, a tender and utterly stunning David Bowie tribute, in today’s mix as a Cover Lay Down exclusive, with permission from Mure herself. Two other artists come to us with other familiarity, through their recordings. Midwesterner Josh Harty made his previous appearance on CLD in 2014, in a collaboration with CLD fave John Statz that featured covers of both Greg Brown and John Prine. And The End Of America, an otherwise-unknown-to-us trio, garnered honorable mention in our Best Video Coverfolk of 2015 for a strong 6-part winter YouTube coverseries; we’ve dug deeper today for a slightly older cover of The Night They Drove Old Dixie Down to better feature their strong three-part harmonies. Both our set today and the emerging artists pool it represents place these five among a strong set of peers. Notably, though, the caveats of coverage apply. Not all artists are represented here; our covers-only approach is a limiting lens, and of the original 24, a handful of artists performing this year at Falcon Ridge have no covers “out there”, or at least not those easily found. I looked hard, though, for anything to offer from John John Brown, Clint Alphin, Bruce Michael Miller, Christine Sweeney, and James Hearne, mostly because the originals posted on their YouTube pages and websites are just so damn good; as always, we encourage you, dear reader, to seek them out on your own. A surprising number of those that did make our set feature collaboration with other artists – a generous sign, for those of us who prefer to experience our emerging artists again after hours, as they play the fields and pop-up venues into the wee hours of the festival dark with “house band” backup from the circle. Caroline Cotter, for example, a world-traveling singer-songwriter from Portland, Maine whose solo albums each focus around the folkway of a particular place, appears in trio form here, and we’ll have to wait until August to find out who, if anyone, she has brought to support her on the Falcon Ridge stage. And Letitia VanSant, a Baltimorean indie Americana artist whose sonic influences run the gamut from Hazel Dickens to Nine Simone, performs here in duet, channeling the two-voice original of a John Prine number with aplomb. Fittingly, too, with a few notable exceptions – Mure’s cover, singer songwriter Lisa Bastoni newly-released Diane Cluck cover, which frames her return to the folkfold after a ten year hiatus, a sweet and soulful dustbowl take on Sean Brennan’s Texarkana from Monica Rizzio, a barnburner of a country bootstomper from Renee Wahl, CT-based band-man Shawn Taylor‘s grungy, bluesy folkrock Stephen Stills cover, and Mass College Of Liberal Arts student Izzy Heltai‘s gorgeous transformation of familiar O Brother Where Art Thou spiritual Down To The River – most of today’s songs find their origin in lo-fi YouTube performances, stageside captures, and other sundry non-studio sources, giving us some sense of what these artists might be like live – although intimate performance and bedroom vocals are but a teaser, and a misleading one at best, for the resonance of scalar sun and crowd that the field provides. So listen to our artist-alphabetized list, as male folk duos Francis Luke Accord and country-and-bluegrass influenced Ryanhood take on Cat Stevens and The Beatles, respectively, turning in harmony performances that showcase their talents, while male-female pairing Ordinary Elephant comes through with an intimate banjo-and-guitar lakeside cover of I’ll Fly Away. Sit a spell, as Alice Howe strips down Sam Cooke for something delightful and sweet, and young solo artist Cubbage channels Ed Sheeran into subtlety. Enjoy, while Brooklynite Aly Tadros shocks us with an intimate unknown recorded in a tour room hotel, and countryfolk harmony trio No Good Sister challenge themselves in-studio to take on an obscurity from UK popsynth team Yaz, and come up roses. And revel, overall, in the breadth and depth of folk, as the next generation takes the stage, and our hearts. 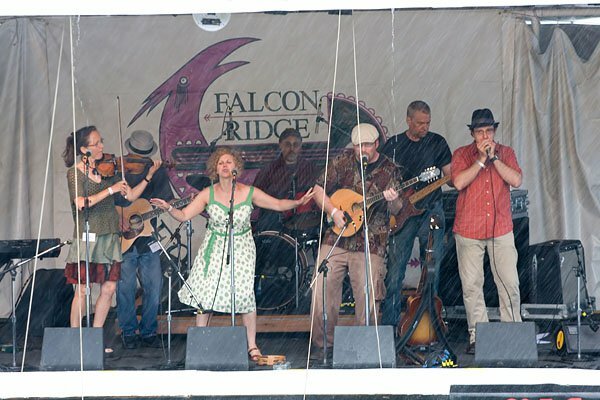 Finally, though the Falcon Ridge Folk festival officially promotes itself as a Friday-to-Sunday affair, fest regulars know that there’s at least as much going on the day before. So be sure to hit Dodd’s Farm Thursday, August 3rd, for a local farmer’s market chock full of the best of the local bottled and corked, plus corn and dirt-grown sundries – and, of course, for the Lounge Stage, our very favorite festival-within-a-festival, which in past years has grown from an artist-collaborative production on the hill to a formal showcase that . In addition to many acts mentioned either above or in our mainstage survey – including Abbie Gardner, Joe Crookston, Kirsten Maxwell, Bettman & Halpin, and emerging artists The End Of America, Heather Aubrey Lloyd, Alice Howe, Christine Sweeney, and Ryanhood – as shown above, the Lounge Stage 2017 will feature hosts and Lounge Stage co-founders Pesky J. Nixon, Kate Taylor of James-and-Livingston sibling fame, Americana up-and-comer Cassandra House, high-energy brother-led Long Island six-piece countryfolk band Quarter Horse, Boston bluesfolk stalwart Danielle Miraglia, long-standing Falcon Ridge house band member and folkscene sideman Radoslav Lorkovic, and fest faves Jesse Terry and Greg Klyma. Most artists will perform in the round with two others – offering a chance for collaboration and artist-to-artist showcasing, and nurturing a sense of intimacy and companionship that easily counterbalances the size of what it sure to be, once more, a spill-over crowd. All in all, Thursday’s event promises ample reason to take the extra day off from work, and arrive to the proverbial hill on August 3rd relaxed and ready to enjoy the best that summer has to offer. 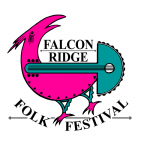 Here’s our final mix, comprised of those artists whose appearance at The Lounge Stage will mark their sole “official” role at Falcon Ridge Folk Festival, though many will surely find their ways into the hills and campsites as the weekend stretches on. Enjoy it, and we’ll see you soon in the folkfields. cover Neil Young, Lorde, Joni Mitchell, Joan Baez, Michael Jackson & more! 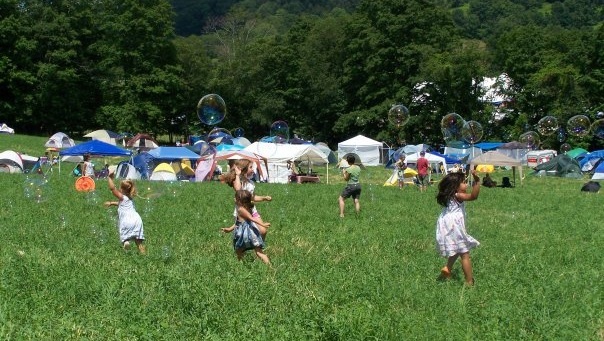 We’ve already shared our love for the Falcon Ridge Folk Festival, which takes place this year on August 4-7 in beautiful New York farm country at the foot of the Berkshires. Since our original feature, however, the festival has released its list of Emerging Artists, who will perform on the mainstage Friday, August 5 from noon to 4:30, and this year’s crop represents an exceptionally talented mix of the young and the rising. Today, then, we present a second feature in their honor; read on for news and coverage, and enjoy! 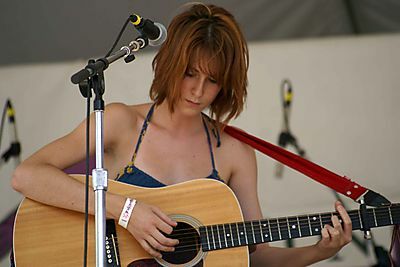 Well-known in the industry as a highly competitive proving ground for artists on the cusp of national recognition, the Falcon Ridge Folk Festival’s Grassy Hill Emerging Artists Showcase is not a contest, per se. Instead, it is a celebration, in which 24 performers selected by a jury of venue promoters and radio hosts perform a two song showcase, and then offer meet-and-greet opportunities by the merchandise tent. Afterwards, festival attendee surveys poll the crowd on who they’d most like to see again; the top three vote-getters are asked to come back the following year for a mainstage Song Swap, ensuring a loving welcome for those who stand out among the crowd. To be fair, though, those who garner top votes in that poll do tend to be those whose stars are rising fastest. Fresh out of high school singer-songwriter Annika Bennett, who garnered top votes in 2015 and whose cover of Jackson 5 hit I Want You Back made our Best of 2015 collection, offers a perfect example of how successful this two-tiered selection process is: since her appearance last year, she has gone on to earn a recording contract from Sony on the strength of a single debut EP, and will be off to Nashville after joining us as a Most Wanted returnee alongside Gina Forsyth and Scott Wolfson & Other Heroes. Other beloved artists familiar to these pages who have been chosen by audiences to return to the mainstage in the just the past couple of years include Darlingside, Jean Rohe, Matt Nakoa, Roosevelt Dime, Parsonsfield, Spuyten Duyvil, Lucy Wainwright Roche, Red Molly, Joe Crookston, Pesky J. Nixon, and more – a fine list of names, and a familiar one to those who watch the folk charts and coffeehouses. But even those who don’t garner top votes and honors often go on to greatness. Among others, second-generation singer-songwriter Grace Pettis, cello-and-guitar-wielding indiefolk duo Tall Heights, and Heather Maloney, who will appear on the festival mainstage this year, have graced the Emerging Artists stage in recent years, coming in as “also rans” even as their careers took flight; we’ve got our ears on Texan singer-songwriter Matt Harlan, who came in fourth in last year balloting, as a new favorite as well. All in all, if you’ve got folk in your heart and you’re looking for a handle on what to love next, Friday afternoon by the Falcon Ridge mainstage is absolutely the place to be this summer. And we’re thrilled to be able to offer a preview tour of sorts today, as a complement to our June feature on the mainstage artists featured at this year’s festival. Our own history with the Emerging Artists showcase is one of discovery; most years we fall in love at least twice, and as such, we’re loathe to call favorites this early in the game. But the list of artists we’re especially excited to hear this August in the showcase is richer and vaster than usual – a healthy sign of the continued relevance and vibrancy of both Falcon Ridge and the larger world of folk. Don’t-miss standouts we know enough to recommend highly include young local artist Kirsten Maxwell, whose potent, evocative voice recently showed up on these virtual pages in perfect harmony with Matt Nakoa and Rachael Kilgour; Gloucester, MA singer-songwriter Chelsea Berry, whose gorgeous, hearty alto takes on Patty Griffin and others have found their way to these pages before; field and campsite favorite Putnam Smith, with his wry grin and masterful, evocative banjo; and Vermont duo Cricket Blue, whose warm strings and gentle harmonies have been on our radar since a Beehive Productions session last year. And we’re especially excited to hear more from Low Lily, a fiddle-and-string trio previously known and loved as Annalivia, whose sparse, delightful handclap-heavy cover of Nelly’s Nobody Knows is included below as a bonus track. 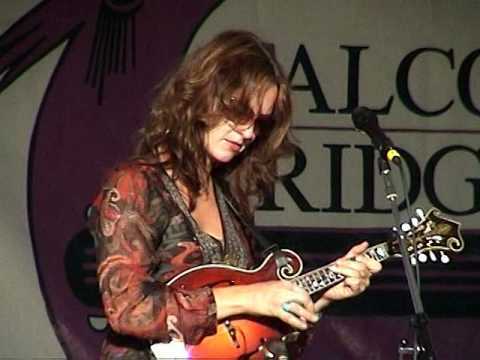 Others we’re just discovering include NYC popfolk songstresses Rachael Sage, back for a second run at the Emerging Artist mantle, whose recent duet with Judy Collins is stunning, and Kate Copeland, whose indie guitar and voice soar like a bird. Contemporary folk is well represented by folks familiar to us from local folk radio programming, like Susan Cattaneo, a local artist whose rich contemporary folk albums have featured studio work from Mark Erelli and Lorne Entress, Joni Mitchell reinterpreter and songwriter Kipyn Martin, jazzfolk explorer Lara Herscovitch, and Amy Soucy, whose take on Neil Young’s Comes A Time speaks for itself. We’re really looking forward to hearing more from empowered Washington DC indiepop artist Heather Mae, whose voice is to die for and whose upcoming Kickstarter-driven sophomore album is surely destined for indie chart greatness, masterful guitar wizard Jacob Johnson, and Jamie Michaels, whose 2013 album Unknown Blessings – his ninth – takes on the songs of his rising star peers to great effect. Add in the rest, from rocking cowboy country bandleaders gone solo (Brad Cunningham, Marc Berger) to melodic harmony duos (The Rafters, Bettman & Halpin), from mid-career songstresses (Elaine Romanelli, Sarah Beatty) to young male singer-songwriter upstarts (Austin MacRae, Mike Herz, Paddy Mills, Will Pfrang), and the afternoon promises to be phenomenal. Though studio recordings are a prerequisite for jury consideration, not all of these 24 artists have recorded covers, of course. But many have, offering easy opportunity for us to honor our own mandate to create comfort through coverage, and in doing so, introduce you to new voices to love. By way of that introduction, then, and to tempt you a little further, we’ve gathered in as many “good ones” as we could find; listen in, and then click through for this wonderful Spotify list to hear more originals and covers from the 2016 Falcon Ridge Folk Festival’s Emerging Artists Showcase performers in celebration of the next generation of folkstars. Two consecutive features on the same festival might seem like overkill under ordinary circumstances. 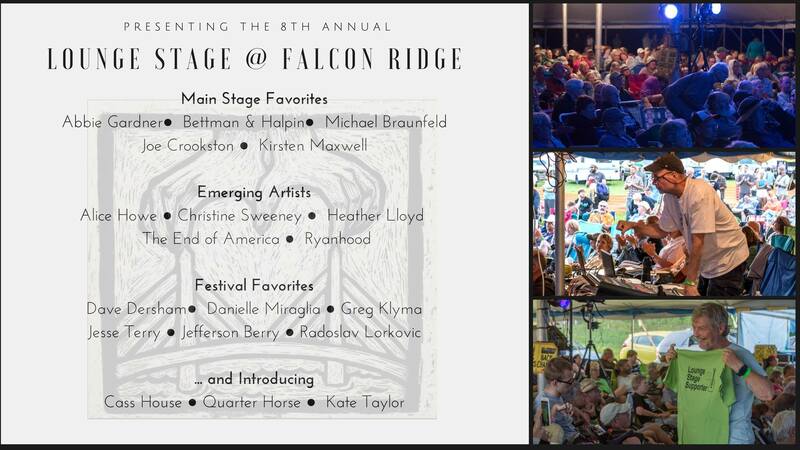 But Falcon Ridge Folk Festival released their alphabetized list of Emerging Artists just after we shared our previous feature, and I’m utterly floored by the amount of talent and craftsmanship included therein. Today, then, we come back to the Hillsdale, NY fields to share a few samples from the ranks of the up-and-coming. Enjoy! The Emerging Artists Showcase at Falcon Ridge is quite well-respected in the music world: it’s quite competitive, and for fans, it’s a great way to test out new acts on the rise. But there’s something special about this year’s roster. For the first time, it features both a number of artists who have been on my “must see” list for a while, and several whom we’ve featured here before, including country-folk artist turned singer-songwriter Amy Black, “roots and branches” stringband Annalivia, Tall Heights, a duo from the Boston area who have shown up on my YouTube radar several times, and urban newgrass quintet Roosevelt Dime, who we first championed way back in 2008. Other artists on this year’s list are relatively new to me, though many come highly recommended. 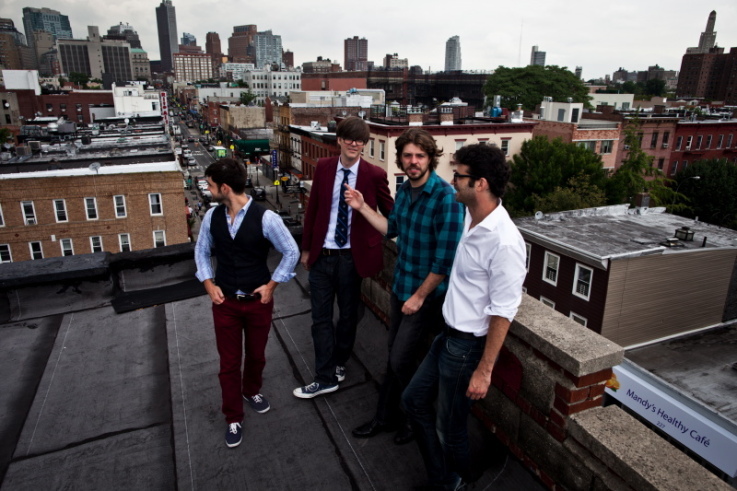 New find Darlingside, for example, a “string rock quartet”, promises a heady sound, with layered indiefolk harmonies and instruments from cello to mandolin over the beat. Irreverent folk reinventors Bobtown sport an eclectic folk band energy with influences that range from punkgrass to funky gospel and folkpop. 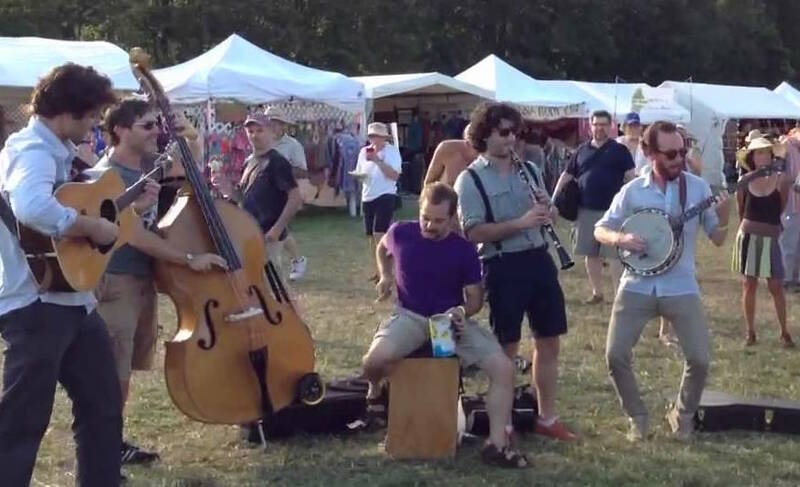 Young progressive bluegrass quintet Cricket Tell The Weather are featured at a number of trusted festivals this summer, and have played with Rushad Eggleston, co-founder of Crooked Still, which is itself a strong recommendation. And although trends in the past few years have resulted in a group that skews heavily away from solo artists, a number of strong solo singer-songwriters appear on the list, from 2013 New Folk Finalist Bethel Steele to excellently impish local heroine Carrie Ferguson, from dark and raw-voiced New Jersey caller Jonah Tolchin to Maine-based acoustic coffeehouse rising star Connor Garvey, from NYC folkpopper Rachael Sage to midwestern folkrocker Jacob Latham. I’m especially happy to have discovered Amanda Pearcey, a great choice for the folkpop set, in researching this second-round feature: her new album, streamed in full below her homepage, featuring a voice reminiscent of Ani DiFranco, and a slow burn of a Rolling Stones cover. I’ll stop there, lest I end up leaving someone out. But by definition, each of the 24 who has made it to the showcase bears serious consideration. Here’s the total list, in alphabetical order; if you’re up on your own local scene, and live in the continental US, odds are good you might recognize a few names yourself. Artists selected for the Emerging Artists Showcase play two songs each on mainstage on Friday between noon and 4:30; the hill is generally well-attended, and if CD sales at the “merch tent” are any indication, most artists pick up more than a few fans. But happily, the showcase isn’t the only chance you’ll have to see your newest music crush. 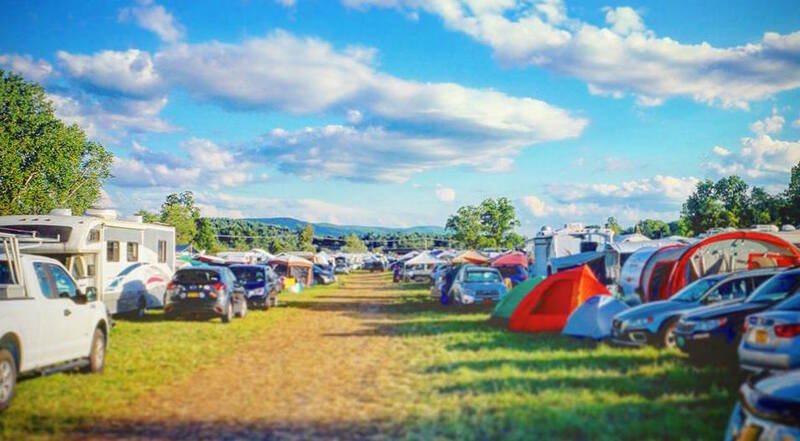 Most artists who play Friday stay on for the weekend to play the campgrounds and vendor booths, in casual stop-as-you-can sessions and at hilltop songcircle “tent venues” run by coffeehouse promoters. Several of these acts, in fact, including Roosevelt Dime, Darlingside, Bethel Steele, Connor Garvey, and Tall Heights, will appear on Thursday at the Lounge Stage, an unofficial platform run by previous Most Wanted Emerging Artists Pesky J. Nixon and friends, before the official festival stages go online; the roster is being leaked slowly over at the Lounge Stage Facebook page, but I’ve been given a sneak peek, and can attest to the great talent and high level of name-recognition therein. Already-announced performers also include Gathering Time, The Ya Yas, and Honor Finnegan (who toured together last month as the 2013 Falcon Ridge preview tour), crowd favorites Putnam Smith and ilyAIMY, folk duo Goodnight Moonshine (whose live debut last year was hosted by our very own Tree Falls Productions), and party-in-a-folkband Spuyten Duyvil, pictured above in a triumphant if rainy performance on Mainstage a few years ago. Last year, the Lounge Stage attracted over 400 patrons; it’s like having a small festival embedded inside a large one, and you’ll find me there for much of the day. But I digress – the point here is to get y’all excited enough about the festival itself to make the trip for their 25th anniversary year. 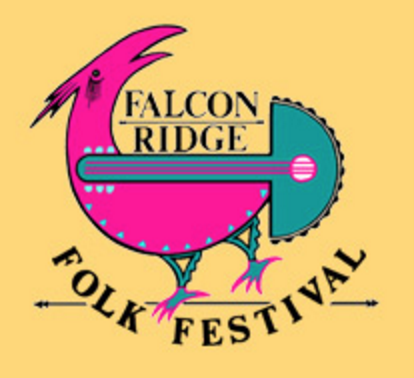 So scroll on for a few covers from a small but representative sample of this year’s Falcon Ridge Folk Festival Emerging Artists, hit up our earlier entry for mainstage artists galore – and then head over to this Spotify list to hear full albums and more from the emerging crowd. Cover Lay Down shares new features and coverfolk sets twice weekly thanks to the support of patrons like you. Coming soon: a CD-release party with The Deadly Gentlemen, and more from the overstuffed mailbag!